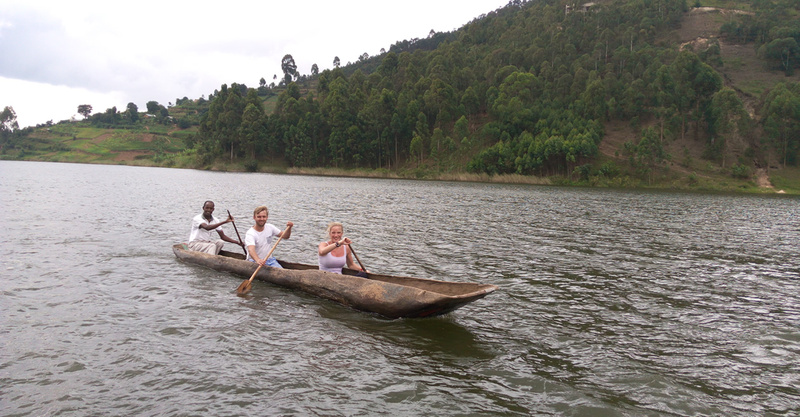 Canoeing/boat riding is one of the interesting things to do at lake Bunyonyi. Imagine sailing on the calm waters of Africa’s second deepest lake!, its such a memorable experience. Travelers boat ride to any of the 29 islands on lake bunyonyi rewarding them with a memorable experience. Each island has a different interesting story about its formation hence worth visiting. Ensure to visit the punishment island where pregnant un married Bakiga girls would be taken and left to die in isolation. Travelers can choose to paddle themselves or else hire someone to paddle them. Canoeing can be full day of a few hours depending on the choice of a client. Travelers on boat riding also have a chance t meet with local people canoeing to their gardens and homes on the islands. How long does boat riding take? Boat riding can be full day of for few hours depending on the choice of client. Travelers with enough time are advised to spend several hours canoeing so as to explore all treasures that make Lake Bunyonyi exceptional. NOTE: Boat riding is highly recommended in dry season. A boat ride in the morning and evening hours gives you clear capture of the sun set and sun dawn. Lake Bunyonyi Rock resort arrange boat cruising trips for their clients rewarding them with a memorable Uganda experience at reasonable rates.